In this week's Martin & Sylvia story, “A Trip to the Doctor,” Sylvia falls from the rope swing and lands funny. Momma notices that, though Sylvia isn’t complaining about her arm, she isn’t using it, so Momma decides to take Sylvia to the doctor to take x-ray “pictures” of her arm. This is the first time Sylvia has ever had x-ray pictures and she's feeling nervous. But both she and Momma use a special imagination game to help them feel brave and relaxed, and, in the process, even delight the hospital doctor. The first time I ever had x-rays I was nervous, too. But once I saw the resulting pictures, I was even more scared. I had expected my bones to look like cartoon bones, with big knobby ends; like something Snoopy or Pluto might bury in the backyard. The bones on the screen in front of me—my ribs and vertebrae—looked strange and almost ghost-like with their eerie x-ray glow. 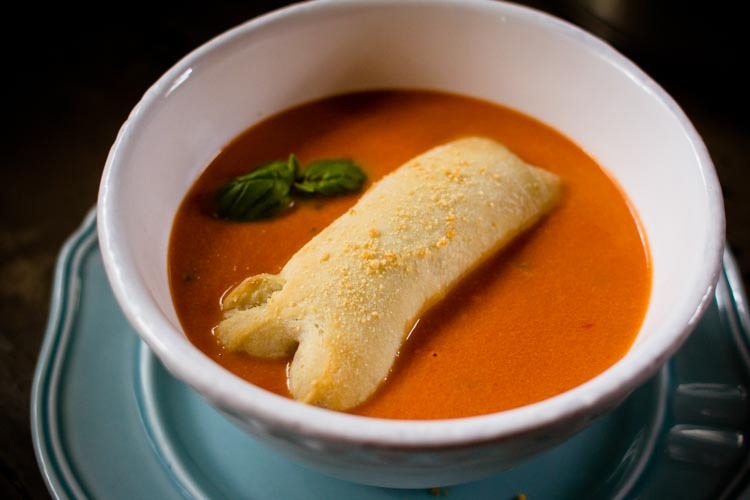 This creamy tomato soup with cheesy “bone” breadsticks — if you have a group with strong stomachs and a good sense of humor, feel free to just call it “blood and bones” — is more like the cartoon bones than the real thing. It's the fun kind of scary. And, perhaps more importantly, it's easy to make and hearty enough to fill your little goblins' bellies before a night of trick-or-treating mayhem. 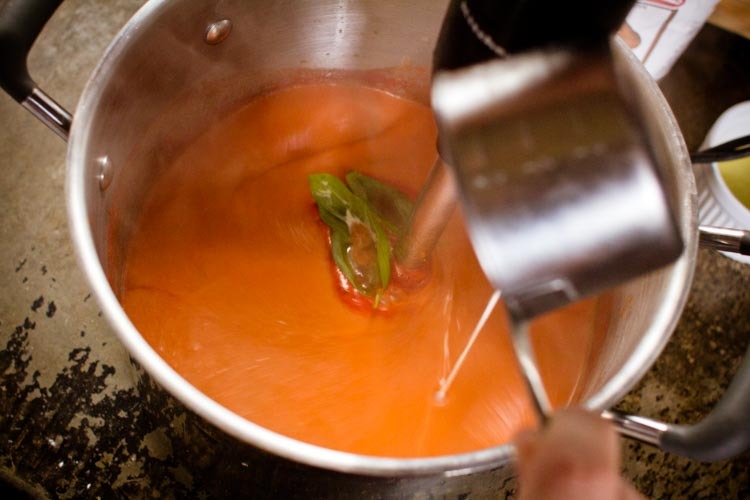 In a large stockpot, combine the tomato juice, canned tomatoes, and diced garlic. Bring to a boil, then down to a high simmer for about 15 minutes. Allow the soup to cool slightly, then add the cream, butter, and basil. Blend the soup with an immersion blender. On a floured cutting board, cut the pizza dough into 8 equal balls, and cut the mozzarella sticks in half. 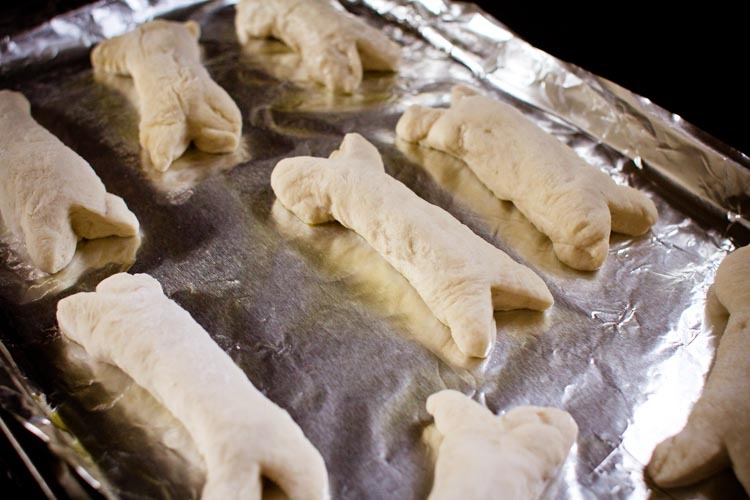 Then — flouring your hands to keep the dough from sticking — roll one of the dough pieces into a snake, and wrap the snake around one of your mozzarella stick halves, pinching to seal the mozzarella in well. 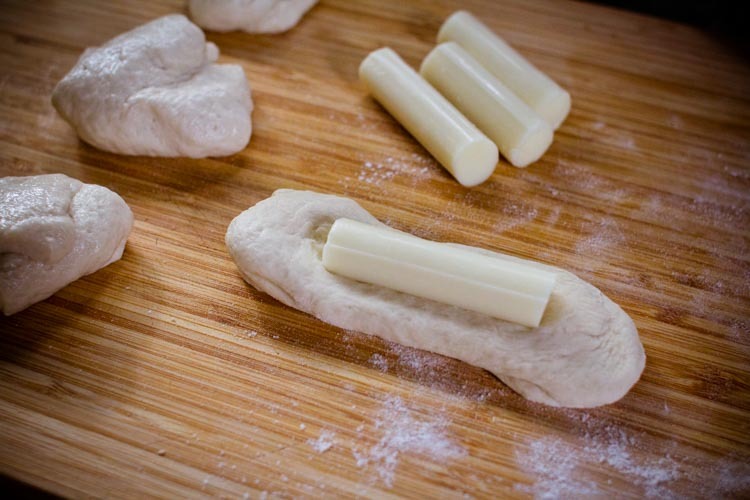 Leave a finger's-width of dough at each end of the stick, and carefully use sharp scissors to make a tiny snip (being careful not to snip into the mozzarella). Form the snipped ends to make a bone shape, then place the “bone” on a parchment or foil-covered bake sheet. Repeat with all of the dough and mozzarella, then bake for 15 minutes. While that's happening, melt 2 tablespoons of butter. 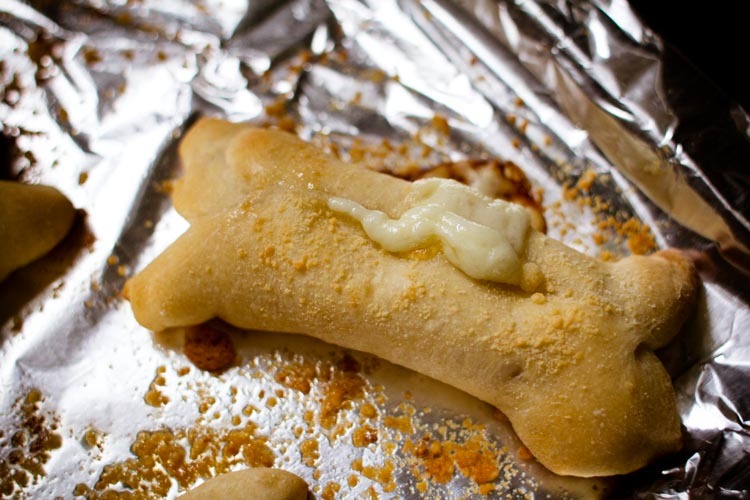 Remove the breadsticks from the oven at the end of 15 minutes, and quickly brush them with the butter. Sprinkle on a bit of Parmesan cheese, then return the breadsticks to the oven for 7 more minutes. Serve the breadsticks along side the soup, or float them in the middle for a spooky looking, but heart warming, meal.